The Colorado Rockies fell to the San Francisco Giants 4-3 last night. It means the Brewers have climbed to within one-game of the Rockies for the final Wild Card spot in the National League. The Chicago Cubs knocked off Tampa Bay 2-1, maintaining their 3 1/2 game lead on the Brewers in the National League Central. The Brewers are 9-2 in their last 11 games, yet have actually lost ground on the Cubs, since the two teams last played. They’ll hook up for a four game series at Miller Park starting Thursday. Anderson’s only real trouble came in the sixth inning and he pitched his way out of it. Adam Frazier opened with a single and moved to second on Anderson’s bad pickoff attempt. Starling Marte followed with a bunt single and then stole second to put a pair of runners in scoring position. But Anderson struck out Andrew McCutchen, induced a shallow fly ball out to center off the bat of Josh Bell and got Gregory Polanco to pop up to shortstop Orlando Arcia to end the frame. 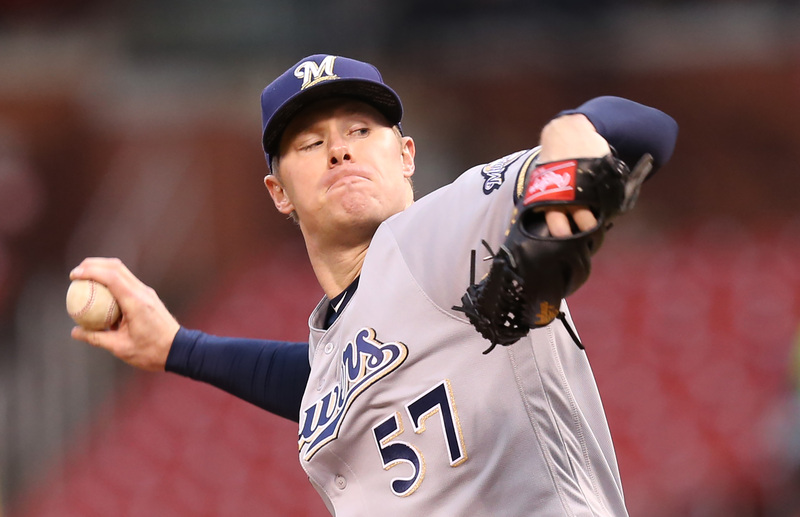 Anthony Swarzak allowed just an infield single in his two innings of relief and Corey Knebel struck out a pair in the 9th for his 21st consecutive save. The Brewers now have 12 shutouts on the season. The Pirates have dropped seven straight games. Aaron Wilkerson will get the start for the Brewers in their series finale with the Pirates tonight. The Brewers acquired Wilkerson, along with minor league infielder Wendell Rijo from Boston in the July, 2016 deal that sent infielder Aaron Hill to the Red Sox. Wilkerson went 11-4 with a 3.16 ERA in 24 starts and Class AA Biloxi. He pitched one game at Triple A in the Pacific Coast League playoffs, tossing 7 no-hit innings in a win over Memphis. His major league debut came the day he was called up on September 15, striking out a pair in a scoreless inning of work.